J.D. Hale: Cowboy, Cattleman, and Political Leader; County Line Primitive Baptist Church Cemetery Survey; Copps Cemetery Survey. 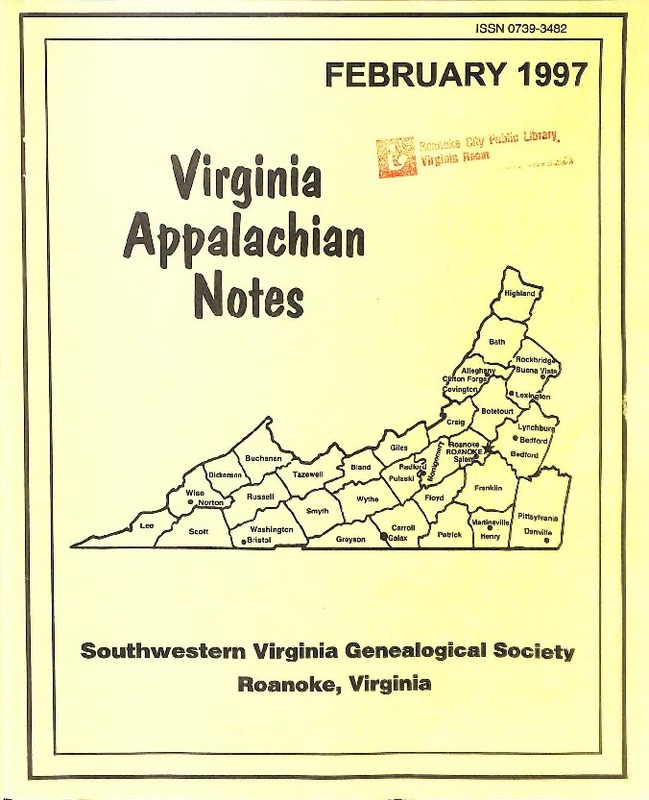 Southwestern Virginia Genealogical Society, “Virginia Appalachian Notes, Volume 21, Number 1,” Virginia Room Digital Collection, accessed April 21, 2019, http://www.virginiaroom.org/digital/document/VANv21n1.